Wie jedes Jahr findet auch dieses Jahr wieder unser grosses Boogie in Bero statt. Wir haben eine PAC 750 XL und eine Porter auf dem Platz. guess what Tshirt I am wearing under my shirt at work ??? i take it you're gonna tell me..!? how was the film festival!? cool, very likely, i'll be there..
oh, boogie-video from last year! 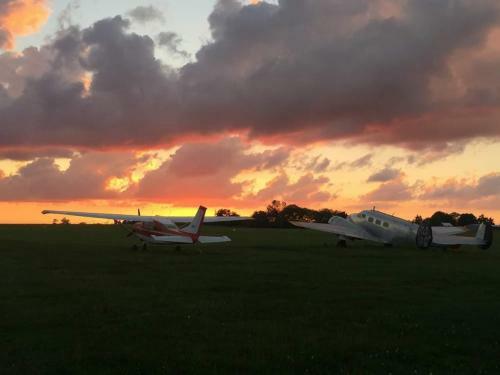 i'm the dude working getting smashed at the bar friday evening..
got a pic of some of our speciality aircraft, dropping right above the dz..
slots are only about 20'000'000$! so, how was it ? friday the winds sucked, the drinks in the evening must had something in it, i only ran on low-speed saturday.. then kept off the drinks for the night.. to wake up to rain on sunday..
friday 2 freefly, saturday 2 WS, sunday another FF and a HELI-JUMP! and my jumps on sunday were for free as i won in the boogie-lottery-thingy..
there were not too many people, but still a good event!